Brussels mobility minister Pascal Smet faced questions this week from members of parliament about the sudden appearance of bicycles that are part of the oBike sharing scheme. The company behind the bright yellow bicycles introduced them to the streets of the capital without getting permission or informing the mobility department, Smet said. oBike is based in Singapore, but services cities across Asia, Australia and Europe, including the Netherlands and the UK. There are no docking stations; users simply leave the bikes anywhere they like on the street. An app shows users where available bikes are located. Some cities are not in favour of the scheme, as the bikes are left in inconvenient places and sometimes tossed in canals. Central Brussels is now home to 500 of the bikes, which appeared at the end of September. Smet said that there is no law banning bicycles that do not have docking stations, but that he is meeting with cabinet members to discuss the situation. He has contacted the company, which said that they had originally made contact with Brussels-City council and not with the region. An oBike spokesperson told Bruzz that Brussels residents were quick to use the bikes and that they have had inquiries from residents in other parts of Brussels. “If we continue to get requests, we will seek talks with the other municipalities,” said the spokesperson. Brussels has its own bike scheme called Villo, which is regulated and requires users to subscribe and return bikes to designated docking stations. Wouldn't it be good to have some choices and some competition? 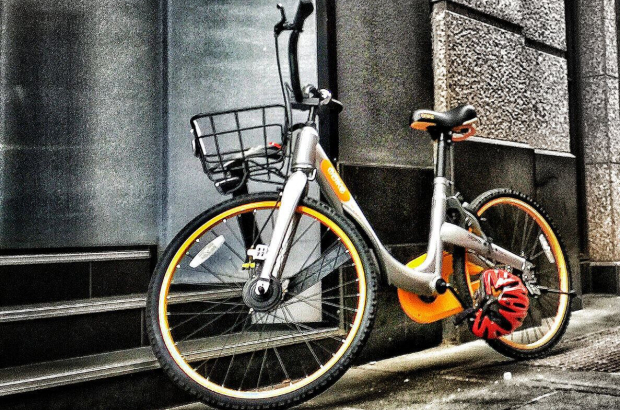 One amicable solution: Villo and oBike could merge together and share. I sincerely hope that all cyclists will learn to use the allocated cycle paths allocated for cyclists and wear helmets, and if the cyclist does not use the cycle path or wear a helmet then they should also receive a money fine or be obligated to do a few hours of charity work. The biggest problem are the designated parking spots for bikes. Try to find one at around 8:30 in the Schuman area and you will be an hour late for work. That people park their bikes anywhere is common practice in Brussels and nobody really seems to care. Having some bike spaces in the most common areas would be a good start. However, riding a bike in Brussels is still the most dangerous sport I can think of and having the ridiculous option to ride against one-way traffic was surely introduced by someone who hates bikers. Brussel is unique in that way. Competition is good, but sometimes regulation is necessary. Brussels Region should study the pros and cons of bike sharing schemes with and without docking stations, and decide how best to regulate them to prevent problems without stifling innovation. In Belgium cyclists are required to use cycle lanes and cycle tracks, provided they are passable (e.g. no potholes or broken glass) and free of obstacles (e.g. parked cars). If a cycle lane or track is impassable or blocked, cyclists can use the road. If cycle lanes and tracks are properly designed and safe, most cyclists will use them. If not, many cyclists will opt for safety and comfort and use the road. Cyclists straying from designated facilities is a minor problem compared to drivers of motor vehicles who break speed limits, drink and drive, use their phones while driving, and park on pavements, pedestrian crossings and cycle lanes. Helmet wearing is optional in Belgium. Cycle helmets provide limited protection, so wearing a helmet is a sensible precaution for an individual cyclist (but it is far more important to learn how to cycle assertively). Making helmets compulsory leads to a reduction in cycling, increased levels of obseity, and far more loss of healthy life years and increased costs to health care services than the costs of the unfortunate but rare accidents to cyclists. Measures to promote walking and cycling and make streets safer have a far bigger impact on cyclist safety than helmet-wearing. Contra-flow cycling on one-way streets is not dangerous. It is actually safer than cycling with the flow of traffic (as motorist are aware of, and can easily avoid, the perceived danger, but all too often overtake cyclists at high speeds without leaving a sufficient gap), and contra-flows allow cyclists to avoid dangerous roads. Cyclist contra-flows are not unique to Brussels. All highway authorities throughout Belgium are required to allow contra-flow cycling on all one-way streets, unless there is a specific local safety issue. Contra-flows can also be found in Paris, London, New York and many other cities. +1 to what Timothy Cooper has said. I think only in Belgium is it possible for a company to enter a market and then the discussion starts: Who gave you permission? The city council. Oh, but we are the Region, you should have spoken to us! Give us more bike parking spots and better cycling lanes.